Last week I had the opportunity to speak in an auditorium in Greenville, Ohio, where I went as a student to watch others share stories from its stage. Whether presenting to grade schoolers, high schoolers, or college students I always try to imagine myself at that age sitting in the audience. What did I need to hear? I’ve been trying to speak at more K-12 schools over the past few years. I’ve realized that middle schoolers on up are ready for the full weight of my stories, even the really heavy ones on child labor and slavery. As for the younger students, I enjoy sharing some of my adventures stories, the importance of experiencing other cultures, and writing. Always love dusting off my snake and shark stories! The amazing folks at The Indianapolis Library Foundation are offering grants to Indiana schools to bring in winners of the Eugene & Marilyn Glick Indiana Authors Award (I won in the Emerging category in 2014). The Foundation covers the cost of the authors visit, meaning the schools get a free authors visit, and the authors get paid for their time. So far I’m participating in this program as are Adrian Matejka, Helen Frost, Greg Schwipps, Barb Shoup, Norbert Krapf, Ray Boomhower, Mike Mullin, Bill Kenley, and Sarah Gerkensmeyer. The Foundation is hoping to plan one author visit per month, except for in October when they are busy putting the finishing touches on the Indiana Authors Award event. If your school or classroom is interested, email Caity Withers with The Indianapolis Public Library Foundation at cwithers@indyplfoundation.org. The Library Foundation will then coordinate the author’s involvement and schedule appearances. You would work with the author to plan the topic and format of the appearance. We will be paying them a flat fee for their appearance and cover their mileage, but we ask that you provide them with a snack or meal depending on the length of the presentation. This is a virtually free opportunity for your school! To show appreciation to Glick family for this opportunity, we ask that you take a “thank you” picture or video with the participants. We are always interested in hearing about what types of author outreach and literary opportunities are best for your students! Please direct any thoughts or inquiries to Caity Withers, Development Officer, at cwithers@indyplfoundation.org or at 317-275-4868. Visit www.indianaauthorsaward.org for more information on the Eugene & Marilyn Glick Indiana Authors Award and to read bios of all past winners and finalists. 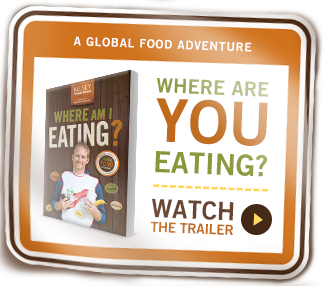 Kelsey Timmerman – Kelsey is the author of “WHERE AM I WEARING? A Global Tour to the Countries, Factories, and People That Make Our Clothes” and “WHERE AM I EATING? An Adventure Through the Global Food Economy.” His writing has appeared in publications such as the Christian Science Monitor and Condé Nast Portfolio and has aired on NPR. Kelsey is also the cofounder of the Facing Project, a community storytelling project that connects people through stories to strengthen communities. He has spent the night in Castle Dracula in Romania, played PlayStation in Kosovo, farmed on four continents, taught an island village to play baseball in Honduras, and in another life, worked as a SCUBA instructor in Key West, Fla. His focus as a speaker is on globalization, poverty, education and empowering students to see themselves as active global and location citizens. His work is best for middle school, high school and college classes. For more information, visit www.whereamiwearing.com/kelsey-speaks/. Adrian Matejka – Adrian is a graduate of Pike High School in Indianapolis and Indiana University in Bloomington. He earned his MFA in creative writing at Southern Illinois University Carbondale. His first collection of poems, “The Devil’s Garden,” won the 2002 New York / New England Award from Alice James Books. His second collection, “Mixology,” was a winner of the 2008 National Poetry Series and was also a finalist for a NAACP Image Award for Outstanding Literature – Poetry. His most recent book, “The Big Smoke,” was awarded the 2014 Anisfield-Wolf Book Award. “The Big Smoke” was also a finalist for the 2013 National Book Award, the 2014 Hurston/Wright Legacy Award and the 2014 Pulitzer Prize in Poetry. He is the recipient of fellowships from the Guggenheim Foundation and the Lannan Foundation and serves as the Lilly Professor /Poet-in-Residence at Indiana University in Bloomington. He is currently working on a new collection of poems, “Hearing Damage,” and a graphic novel. His focus as a speaker is flexible. His work is best for middle school, high school and college. For more information, visit www.adrianmatejka.com. Helen Frost – Helen Frost was born in Brookings, South Dakota and lived in many places prior to moving to Fort Wayne. She graduated from Syracuse University with a degree in Elementary Education and a concentration in English. She received her Master’s degree in English from Indiana University and has taught writing at all levels, from pre-school through university. In 2009-2010 she received a National Endowment for the Arts Literature Fellowship in Poetry. Frost has been active in the Indiana community of writers in many ways, including participation in Ropewalk, Young Audiences of Indiana, the Mary Anderson Center for the Arts, the Writers Center of Indiana, the Indiana chapter of the Society of Children’s Book Writers and Illustrators, Arts United of Greater Fort Wayne, and as a speaker at the Butler Children’s Literature Conference, and at Indiana Library Federation Conferences. Frost has written books for readers of all ages. She has received the Robert H. Winner Memorial Award and the Mary Carolyn Davies Memorial Award from the Poetry Society of America. Her six novels-in-poems have won numerous awards, including, for “Keesha’s House,” a Michael L. Printz honor from the American Library Association; for “Diamond Willow,” The Mitten Award from the Michigan Library Association and the Lee Bennett Hopkins Award for Children’s Poetry, and for all her books, many “Best of the Year” honors and inclusions on state reading lists. Frost worked with the Fort Wayne Dance Collective for more than 10 years as part of an inter-disciplinary artistic team in a violence prevention program incorporating creative movement, percussion, visual arts and writing. She also worked with the Fort Wayne YWCA and the Fort Wayne Youth Theatre to help high school students write about how they have been affected by violence. The students’ writing was the basis of a play and an anthology, both entitled “Why Darkness Seems So Light.” Frost has set programs based on her different books, but can adapt her presentations to different age groups and group sizes. Her work is best for elementary, middle and high school students. For more information, visit www.helenfrost.net. Greg Schwipps – Greg Schwipps was raised on a working farm in Milan, Indiana. He graduated from Milan Jr. /Sr. High School in 1991 and attended DePauw University, where he majored in English Writing. Following his graduation from DePauw, he attended Southern Illinois University at Carbondale for his MFA in Creative Writing. After receiving his MFA, Greg returned to DePauw, where he teaches primarily creative writing classes. His creative nonfiction articles and essays appeared in outdoor magazines like Outdoor Indiana, Indiana Game & Fish and In-Fisherman. His first novel, “What This River Keeps,” was published by Ghost Road Press. He is also the co-author of the 2nd Edition of “Fishing for Dummies.” A lifelong fascination with fishing and rural living has deeply influenced his life and work. His focus as a speaker is flexible. His work is best for middle and high school. Barb Shoup – Barbara Shoup is the author of seven novels: “Night Watch,” “Wish You Were Here,” “Stranded in Harmony,” “Faithful Women,” “Vermeer’s Daughter,” “Everything You Want” and “An American Tune” and the co-author of “Novel Ideas: Contemporary Authors Share the Creative Process” and “Story Matters.” Her short fiction, poetry, essays and interviews have appeared in numerous small magazines, as well as in The Writer and The New York Times Travel Section. Her young adult novels, “Wish You Were Here” and “Stranded in Harmony” were selected as American Library Association Best Books for Young Adults. “Vermeer’s Daughter” was a School Library Journal Best Adult Book for Young Adults. She is the recipient of numerous grants from the Indiana Arts Council, two creative renewal grants from the Arts Council of Indianapolis and the 2006 PEN Phyllis Naylor Working Writer Fellowship. She was the writer-in-residence at Broad Ripple High School Center for the Humanities and the Performing Arts for 20 years. Currently, she is the executive director of the Indiana Writers’ Center, an associate faculty member at Indiana University-Purdue University at Indianapolis and an associate editor with OV Books. Her focus as a speaker is flexible. Her work is best for high school. For more information, visit www.barbarashoup.com. Norbert Krapf – Jasper native, Indianapolis resident and former Indiana Poet Laureate Norbert Krapf was inspired to start writing poetry in 1971 by the poems of Walt Whitman and the songs of Delta blues great Robert Johnson. Norbert released a CD with jazz pianist-composer Monika Herzig, “Imagine,” and performs poetry and blues with Gordon Bonham, his guitar teacher. Of Norbert’s 26 books, 11 are full-length poetry collections, including the recent “Catholic Boy Blues: A Poet’s Journal of Healing,” “American Dreams,” “Songs in Sepia and Black and White,” “Bloodroot: Indiana Poems” and “Invisible Presence.” He has also published a prose childhood memoir, “The Ripest Moments,” edited a collection of pioneer German journals and letters from Dubois County and translated early poems of Rainer Maria Rilke and legends from his ancestral Franconia. Norbert is emeritus professor of English at Long Island University where he directed the C.W. Post Poetry Center. He holds degrees from St. Joseph’s College and the University of Notre Dame and was Fulbright Professor at the Universities of Freiburg and Erlangen Nuremberg in Germany. He received the Lucille Medwick Memorial Award from the Poetry Society of America, had a poem included in a stained-glass panel at the Indianapolis Airport and held an Arts Council of Indianapolis Creative Renewal Fellowship to combine poetry and the blues. Garrison Keillor has read his poems on The Writer’s Almanac. His focus as a speaker is on the healing powers of poetry. His work is best for high school. For more information, visit www.krapfpoetry.com. Ray Boomhower – Ray E. Boomhower is senior editor of the Indiana Historical Society’s quarterly popular history magazine Traces of Indiana and Midwestern History. A native of Mishawaka, Boomhower graduated from Indiana University in 1982 with degrees in journalism and political science. He received his master’s degree in U.S. history from Indiana University, Indianapolis, in 1995. Before joining the Society staff, he worked in public relations for the Indiana State Museum and as a reporter for two Indiana daily newspapers, the Rensselaer Republican and the Anderson Herald. In 1999 he received the Hoosier Historian award from the Indiana Historical Society. His books have also been finalists in the annual Best Books of Indiana competition sponsored by the Indiana Center for the Book, as well as finalists in the annual Benjamin Franklin Awards from the Independent Book Publishers Association. Along with numerous articles, Boomhower is the author of the books “Jacob Piatt Dunn, Jr.: A Life in History and Politics, 1855-1924,” “The Country Contributor: The Life and Times of Juliet V. Strauss,” “Destination Indiana: Travels through Hoosier History,” “‘But I Do Clamor’: May Wright Sewall, A Life, 1844–1920,” “‘One Shot’: The World War II Photography of John A. Bushemi,” “Gus Grissom: The Lost Astronaut,” “The Sword and the Pen: A Life of Lew Wallace,” “The Soldier’s Friend: A Life of Ernie Pyle,” “Fighting for Equality: A Life of May Wright Sewall,” “Robert F. Kennedy and the 1968 Indiana Primary” and “Fighter Pilot: The World War II Career of Alex Vraciu.” His focus as a speaker is on Indiana history. He is best for middle and high school. For more information, visit www.rayboomhower.blogspot.com. Mike Mullin – During high school, Mike Mullin served as a Congressional Page for the Honorable Andy Jacobs, Jr. and later spent a year in Brazil as a Rotary Youth Exchange Student. He paid his way through college working full-time for Kids Ink Children’s Bookstore, graduating in three and a half years with a degree in Political Science and minors in Latin American Studies and Economics. He spent two years computerizing Kids Ink’s operations and opening a new store, then returned to school to earn a Master of Business Administration from Indiana University. While studying for his Masters, Mike worked as a reference assistant for the IU library. After graduation, Mike worked in brand management for Procter and Gamble, marketing Pampers diapers. Later, he moved to Spectrum Brands, where he founded the Terminate brand. After Spectrum, Mike launched his own remodeling company. In addition, he has continued to work for Kids Ink as a consultant and part-time helper during his various other careers. Mike wrote his first novel in elementary school and has been writing more or less non-stop ever since. He is the author of the “Ashfall” trilogy, which has won awards from National Public Radio, Kirkus Reviews and the American Booksellers Association. Mike holds a black belt in Songahm Taekwondo. Mullin has set programs he presents to different age groups. His work is best for elementary, middle and high school. For more information, visit www.mikemullinauthor.com/author-visits/. Bill Kenley – Bill is an English teacher at Noblesville High School and the author of “High School Runner (Freshman),” a fictional love letter to high school cross-country running. “High School Runner” is Kenley’s debut novel and the first in a series of four planned books highlighting the protagonist Sherman Kindle’s journey through school and the lessons he’s learned through running. Three times voted by students as his school’s most inspiring and influential teacher, Kenley writes for a primarily young adult audience. A graduate of Miami University with a master’s in English education from Ohio State, Kenley is also an avid runner with multiple Boston Marathons with a fifty-mile trail run under his belt. His focus as a speaker is on sports, identity and goal-setting. His work is best for middle and high school. For more information, visit www.billkenley.com/speaking/. Sarah Gerkensmeyer – Sarah’s story collection, “What You Are Now Enjoying,” was selected by Stewart O’Nan as winner of the Autumn House Press Fiction Prize, longlisted for the Frank O’Connor International Short Story Award, and chosen as winner of Late Night Library’s Debut-litzer Prize. A Pushcart Prize nominee for both fiction and poetry and a finalist for the Katherine Anne Porter Prize in Short Fiction and the Italo Calvino Prize for Fabulist Fiction, Gerkensmeyer’s stories and poetry have appeared in American Short Fiction, Guernica, The Massachusetts Review, Hayden’s Ferry Review, B O D Y, Hobart, and Cream City Review, among others. Her story “Ramona” was featured in a Huffington Post piece on flash fiction and also chosen for the 2014 Best of the Net Anthology. Gerkensmeyer was the 2012-13 Pen Parentis Fellow. She received her MFA in fiction from Cornell University and now lives with her family in Greencastle. She has taught creative writing courses for twelve years. Her focus as a speaker is on writing about the unknown, memoir writing and the publishing industry. Her work is best for high school and college. For more information, visit www.sarahgerkensmeyer.com.